Activists say the collection of aquatic species is destroying coral reefs, but others argue that regulations are actually protecting fish stocks. HONOLULU — The waters off Hawaii’s largest island are home to a half-million brightly colored tropical fish that are scooped up into nets each year and flown across the globe into aquariums from Berlin to Boston. Scientists say the aquarium fishery off the Big Island is among the best managed in the world, but it has nevertheless become the focus of a fight over whether it’s ever appropriate to remove fish from reefs for people to look at and enjoy. Activists have launched a campaign to shut down the buying and selling of fish for aquariums, saying the practice from Hawaii to the Philippines is destroying coral reefs. “In this day and age, where the ocean faces a crisis … there’s absolutely no justification for a fishery for hobby,” said Mike Long of Seattle-based Sea Shepherd Conservation Society, which is spearheading the campaign. A coalition of fishermen, state regulators and even local environmentalists say the group should focus its attention elsewhere, noting comprehensive aquarium fishery regulations and scientific research that shows fish stocks there are rebounding. “We don’t have a problem here anymore,” said Tina Owens of the local environmental group Lost Fish Coalition. Scientists estimate the aquarium trade removes about 30 million fish from reefs around the world. Hawaii accounts for less than 2 percent, while the vast majority comes from Indonesia and the Philippines. Some fishermen in these countries capture fish by pumping cyanide into the water to make fish sluggish and easier to catch. The chemical may also harm nearby marine life, as well as shorten the captured fish’s life span. The Philippines has long prohibited cyanide fishing and in April banned certain types of fishing gear that destroy coral reefs and other marine habitat, said Asis Perez, director of the government’s Bureau of Fisheries and Aquatic Resources. 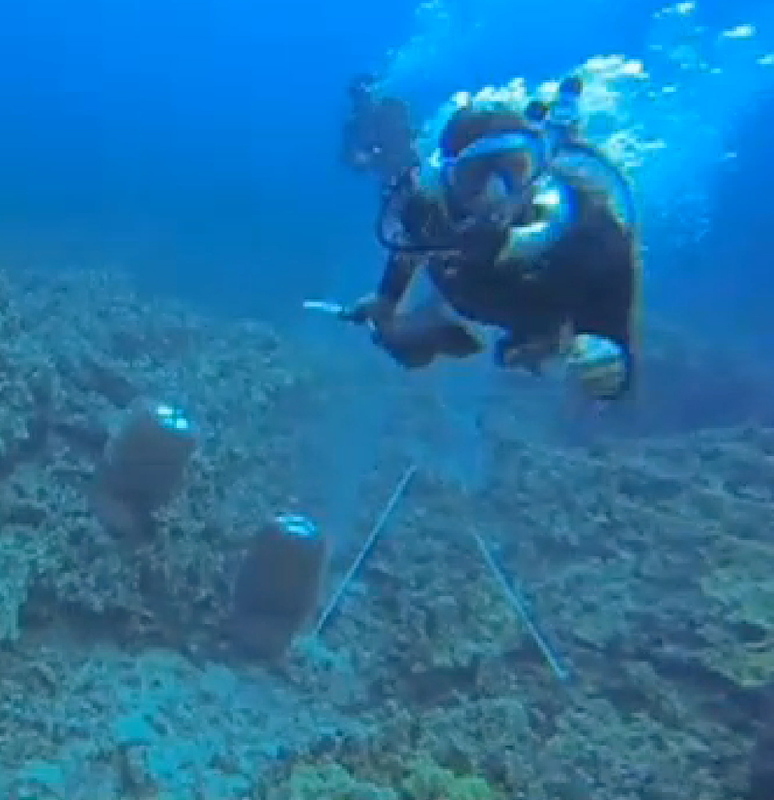 Hawaii collectors use nets to capture fish. 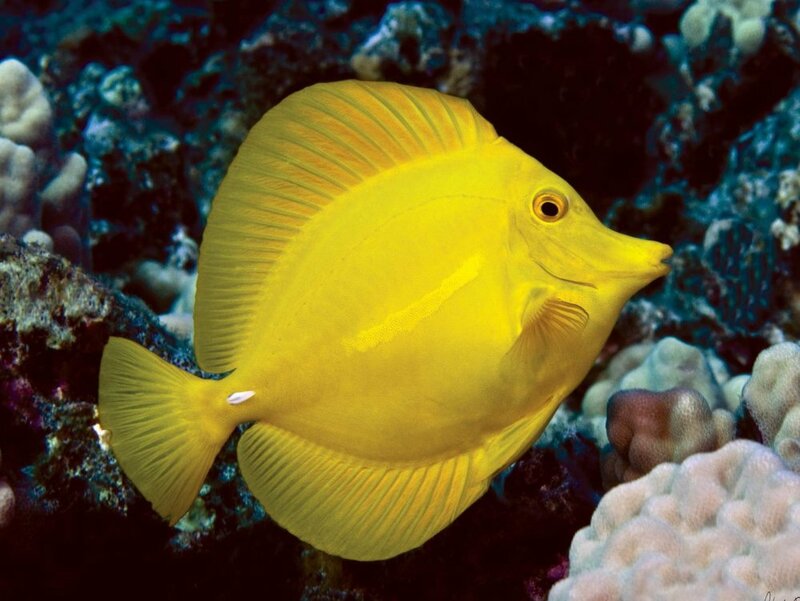 Local collectors may sell one yellow tang – the most commonly caught species on the Big Island’s west coast — for about $3 or $4. With middlemen adding costs to store and ship them, the fish may retail for anywhere between $30 and $60. Long said Sea Shepherd would take the campaign to Indonesia and the Philippines as well, but didn’t offer details. The group is known for using aggressive tactics – even violence – to achieve its aims, as when its members rammed Japanese whaling ships in Antarctica and hurled glass containers of acid at the vessels. A federal judge called them pirates. Conflict over the aquarium fish industry shot into the limelight last month when Sea Shepherd activists wearing cameras approached two fish collectors working underwater in West Hawaii. One collector swam to one of the activists and ripped her scuba air regulator out of her mouth. Both the fish collector and the activist filed complaints against each another. Prosecutors are reviewing evidence but haven’t decided whether to file charges. Local activists have long pushed to shut down Hawaii’s aquarium trade. Robert Wintner, the owner of the Hawaii dive shop chain Snorkel Bob’s and vice president of Sea Shepherd’s board, lobbied the state Legislature for years to ban aquarium fish collecting but the bills didn’t pass. Wintner and others sued the state in 2012, saying environmental studies should be conducted before collection permits are issued. A state judge rejected the lawsuit, but the plaintiffs are appealing. Fish collectors say the filming isn’t harmless, saying it could scare away skittish fish. West Hawaii’s aquarium fish collecting rules date to the late 1990s, when the state Legislature, responding to concerns about declining fish stocks, banned fish collecting along sections of the coastline. Today, collecting is prohibited on 35 percent of the coast. Scientific surveys show yellow tang populations have jumped 88 percent in these areas since the regulations went into effect, said Brian Tissot, a Humbolt State University conservation biologist who has studied the fishery for decades. Numbers of goldring surgeonfish, the second most-caught aquarium fish, climbed 37 percent. “This is not a debate or data or science. It’s an emotional argument,” Rhyne said.